$200 of cost goes toward assessment and approximately $600 goes toward identified low-cost retrofit measures such as air sealing, CFLs, water heater insulation, and attic access insulation). Retrofit measures will vary from home to home, depending on assessment findings. 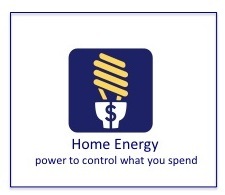 Once the contractor has assessed the energy loss issues of a home ($200 value), they will perform tasks (retrofits) that will make the home more energy efficient, leading to savings for the homeowner.